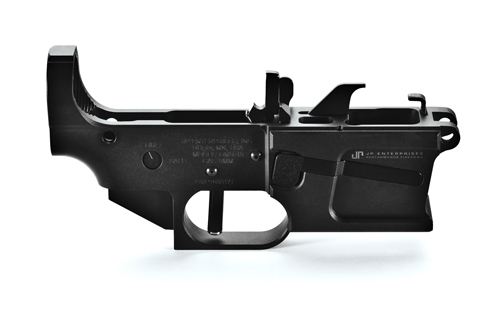 For the home builder with a 9mm Pistol Caliber Carbine project, this GMR-15™ billet lower receiver accepts Glock G17 magazines and will mate to any Mil-spec compatible upper receiver. This kit includes all exclusive magazine catch, bolt catch and ejector components required for function as well as a complete JP Fire Control Package (3.5-4.0 lbs.) with the Armageddon Gear Revolution trigger. Read more about the GMR-15™ platform here.